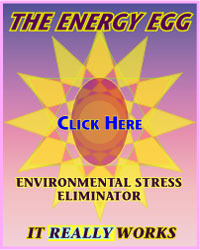 We use homeopathy a great deal at Energy Solutions – because, when properly selected, the thousands of available homeopathic remedies probably comprise the most effective pharmacopaeia on the planet – so this seems like an appropriate time to explain, from an 'energy doctor's' observations, how homeopathy really works, or doesn't, as the case may be. Once the energy has been generated and stably contained – strong alcohol is a good container – the original material can be thrown away. It's only the energy that has the homeopathic effect, not the material from which it was derived. Now, it gets a little complicated because homeopathy as it's commonly practiced is, essentially, two different subjects: homeopathic remedies and homeopathic prescription. Classical homeopathic prescription is a process of narrowing-down the possible remedies for a client's complaints by noting symptoms, body-type, behaviours, psychological indicators and so on. The theory is that each remedy corresponds to a certain set of symptoms, etc. and so all these observations will lead to the right remedy. But, in practice, all these observations often fail to lead to the right remedy because there's such a huge overlap of possible symptoms and other correlations between one remedy and another. In fact, even though we routinely effect cures with homeopathic remedies, almost all our clients have previously seen homeopaths, who've failed to provide relief – not because homeopathic remedies don't work but because the classical method of choosing them is extremely hit and miss. And your weaver sends a signal back to the lesion area where it eliminates any harmful foreign energy and seals the lesion. In other words, the homeopathic medicine points your body's own natural immune and repair mechanisms to a place they previously weren't paying enough attention to – for reasons that will be included in another Energy Doctor article. Since, through over more than 20 years of practice, we've become very clear about this healing process, we select remedies on the basis of their observed ability to stimulate the body in this way. This doesn't mean all our clients who receive homeopathic medicines always recover immediately – the reality can be a little more complex than I've explained here – but a typical client, Mary, whose suffered from chronic fatigue syndrome, said, yesterday, "I'm feeling better than I have for seven years. It's happened so quickly [2 weeks]! My energy is incomparably better. I can't tell you how happy I am". Homeopathic remedies can be made from anything: plants, animals, metals, foods, drugs, chemicals of all sorts – you name it and someone's probably made a remedy from it. There are, as you may know, all kinds of schools of thought about these and other categories of remedies and how they work. Being 'energy practitioners' rather than homeopathic practitioners, we tend to focus more on the question, "Does this remedy influence this person's energy effectively, or not?" This doesn't mean theory is a waste of time but, for us, it must correlate with the energetic processes we are observing. 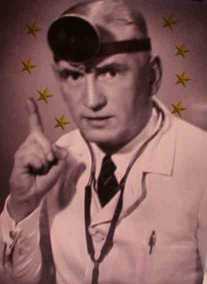 For example, a prominent homeopath in Australia recently said to a colleague of mine that there's no reason to ever inject a homeopathic remedy. Well, she would know, if she practised in Europe, that a lot of people there are only alive today because they consulted homeopaths who understand the difference between taking remedies orally, topically or intramuscularly. The fact is, homeopathic remedies often work where physical medicines fail and injectable remedies often work where their oral equivalents fail. Another common myth about homeopathic remedies is that they are harmless. In fact, plenty of practitioners of homeopathy become ill because they spend too much time sitting near their remedies – particularly those of a higher dilution. 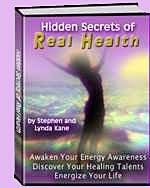 Homeopathic energy can have a powerful field effect – and when you are sitting in the energy fields of dozens of remedies at a time, they won't do you any good. Fortunately, this isn't an issue for most of us but more than a few of our sick homeopathic doctor clients have demonstrated that the statement, "Homeopathy can't cause any harm", is somewhat wide of the mark. Having said this, homeopathy is an invaluable form of medicine that can reach places beyond the scope of any form of physical medicine. But it will never be as popular as some other approaches to healing because it requires a degree of finesse on the part of the practitioner that is not easy to achieve. Nevertheless, there are times when only homeopathic remedies can give someone's body or mind the aid they so desperately need. If you suffer from a chronic problem and would like to take responsibility for your health through homeopathy – or any other therapy – with more awareness of the energies involved, we will soon be offering the Healing Energy Awareness Training on-line. 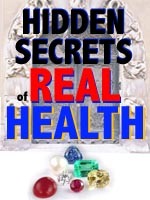 If you wish to be notified of this, feel free to sign-up at www.realhealth-online.com. Otherwise, if you've tried more obvious approaches, but without success, give homeopathy a fair chance. It won't hurt you, might well heal you and could even save your life – as it has already done for millions of people over the years.